Quick Info: Light up any space! 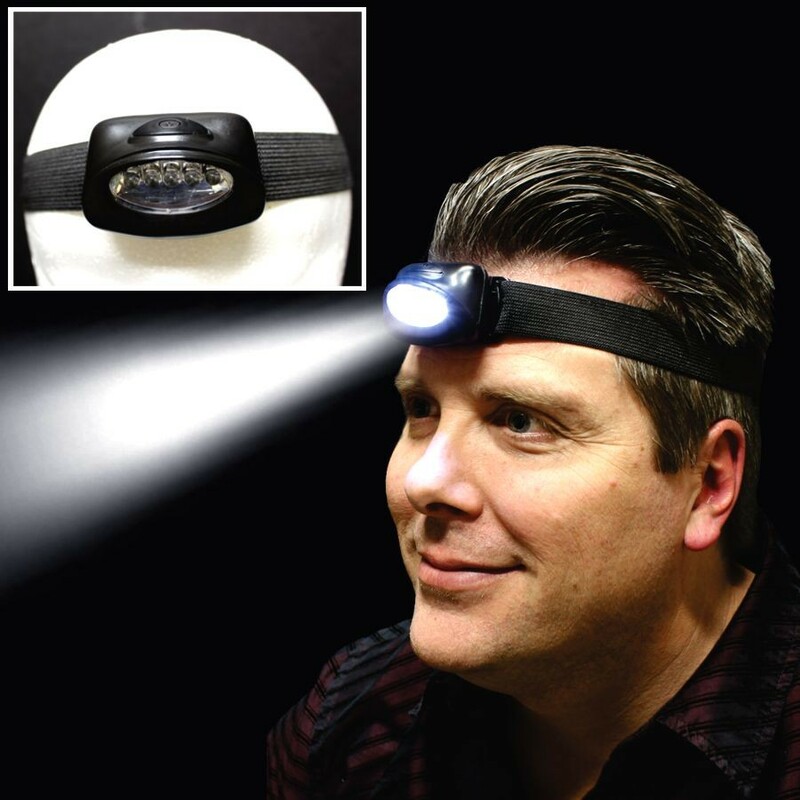 Shine a light on your company by using this Head Light with a black elastic headband. 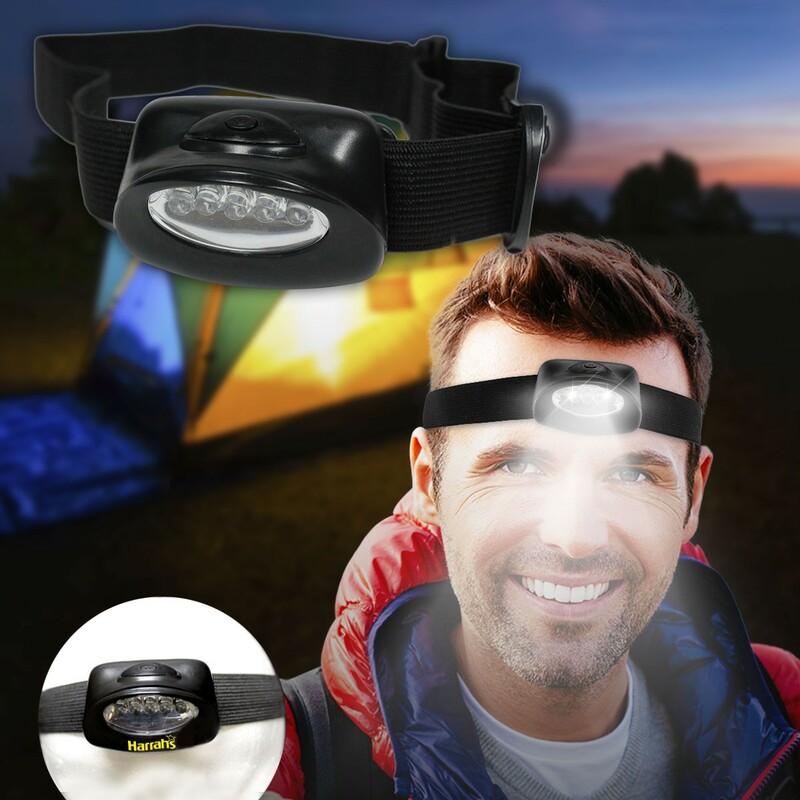 Each head light comes with 5 bright WHITE LEDs, 3 different light functions and an adjustable elastic head band. 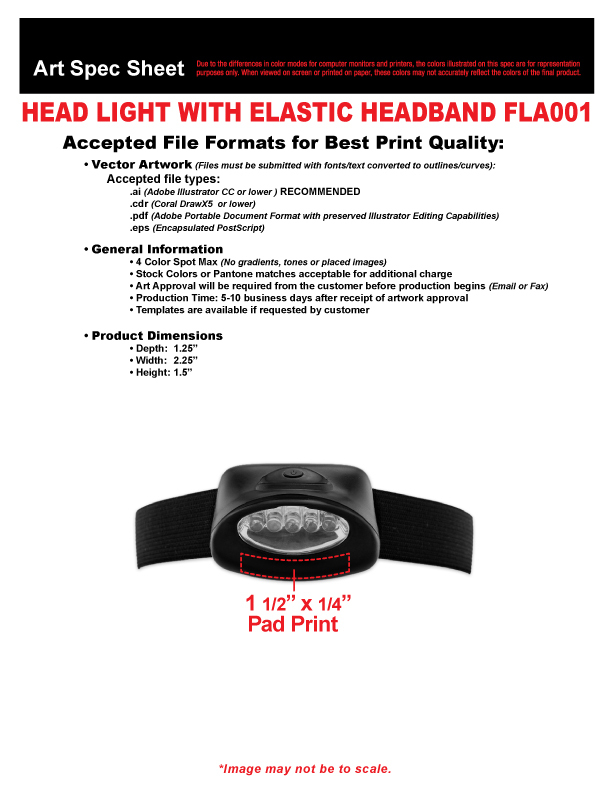 Imprint your company's name or logo right on the front of this useful promotional product. Perfect for creating a uniform logoed look for your employees. Comes packed in a simple white box and includes 3 AAA batteries.